This post about unique mother’s day gifts is sponsored by Novica but all opinions expressed are my own. Mother’s Day is fast approaching and I have been struggling to figure out what to get my mom this year. My mom has gotten to the point in life where she doesn’t really NEED anything. She is a collector of just about everything. She has enough lotions, cookbooks, kitchen towels, and everything else to last til hell freezes over. What do you buy a woman who doesn’t really need anything? Something UNIQUE that you know she doesn’t already have! Unique mother’s day gifts can be tailored to your mom’s personal interests and Novica has a great selection to fit just about every type of mom! If you have a fashion conscious mom, she would love unique Mother’s Day gifts like their Mother’s Day Handbags. They have everything from cute cosmetic bags and yoga mat bags to purses made from recycled vinyl records! Each bag comes with it’s own story and you will get some great information about each artist when you browse their site. 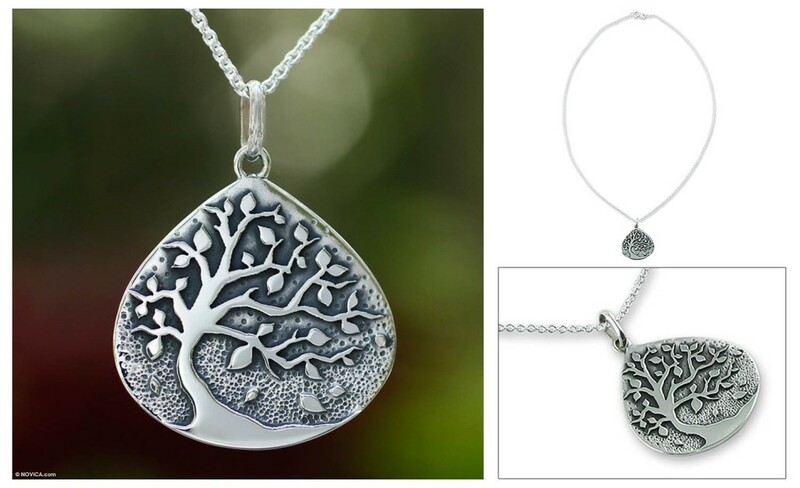 If you have a mom who is more into jewelry, Novica has some beautiful Mother’s Day necklaces and earings that would make wonderful and unique Mother’s Day gifts. Mom’s always need a little bit of bling, right? Novica’s jewelry options are hand made by artists and you can rest assured that a lot of attention went into the crafting of each piece! 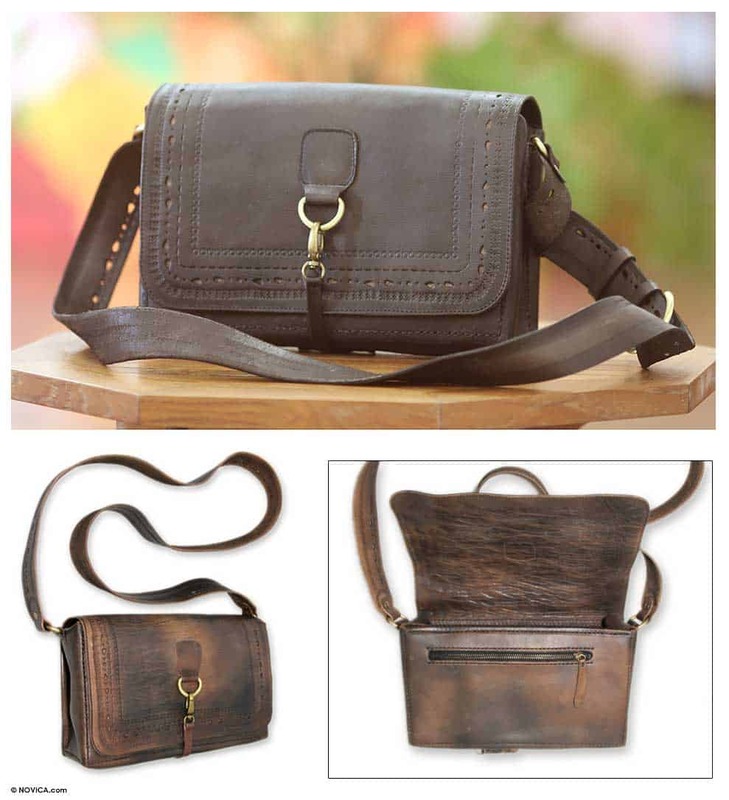 I love shopping at Novica and I have been very pleased with every products I have received from them. They have an incredible selection of kitchen decor, glassware, serving dishes, and linens that I just love. And purchasing unique Mother’s Day gifts from Novica means that you are supporting individual artisans and small communities around the entire world. A much better Mother’s Day choice than buying mass marketed plastic stuff from Target, I can assure you! Want to win a gift code to Novica to check out their products for yourself? This is a Giveaway Tools contest so just follow the directions in the form below to enter! Disclaimer: In accordance with the Federal Trade Commission’s 16 CFR, Part 255: “Guides Concerning the Use of Endorsements and Testimonials.”: I received a coupon code in exchange for my honest review. All opinions expressed here are mine and mine alone. Regardless, I only recommend products or services I use personally and believe will add value to my readers. i would love the gold plated blue topaz cocktail ring! I WOULD LIKE THE Beaded necklace, 'Gush'. I like their jewelry. There are several pearl necklaces that caught my eye. I like the Sterling silver flower earrings, called Fern Flowers. They are so pretty! I like the Confetti blown glass pitcher and glasses. I love the Maya Jade bag! I love the recycled bags. Love the teak wood cutting board. I'd love the Carnelian and garnet choker (Gorgeous Blossom). I love the silver Plumed Serpent earrings by Francisco Sanchez. I love the Gemstone flower earrings, 'Andean Bouquet'. I love the Talavera ceramic bowl, 'Happy Tradition'! I love the tiger trance necklace. I like the vase called Coffee Bean. Very different. I'd love the wooden sculpture "Eternity of Love" My husband of 32 years passed away in March, and this sculpture signifies the eternal love we had for each other. The Emerald Forest bathrobe. Thanks for the chance. I'd love the Moon Halo Pearl drop earrings. I like the Maya Jade bag. I would get the Sterling silver cocktail ring, 'Arabesque Curl'. I like the Confetti glass pitcher. I really like the Alpaca ponchos.